Dale M. Bemis of Gobles passed away Wednesday, June 26, 2013 in Ann Arbor. Dale was born August 28, 1950, the son of Kenneth R. and Rita (Jedele) Bemis. Dale was an Army veteran of the Vietnam War and later served in Korea. He enjoyed his job as a plumber, also woodworking and being with his grandchildren. Surviving are 3 sons, Dale Bemis of Gobles, Rich Bemis and Mark (Kimberly) Bemis, both of Bloomingdale; 4 grandchildren, Adam, Joshua, Maddy and William; 1 brother, Butch Bemis of Otsego. Cremation has taken place. Friends may meet with Dale’s family on Sunday, June 30, 2013 from 2 to 5 P.M. at Winkel Funeral Home, Otsego. Burial with military honors will be held at Fort Custer National Cemetery Tuesday, July 2, 2013 at 1:00 P.M..
John M. ‘Jack’ Blanchard of Otsego, Michigan, passed away Monday, June 24, 2013 at his home. Mr. Blanchard was born December 1, 1934 in Kalamazoo to John E. and Evelyn (Baxter) Blanchard. Jack was a 1953 graduate of Marshall High School. From 1955 to 1959 he served his country in the U.S. Marines. After his return home from the Marines he was employed with Eaton Corp. for 7 years before owning and operating his own drywall installation business. Surviving are a sister, Nancy (Blanchard) Trotter of Kalamazoo; four half-siblings, Dave (Barb) Blanchard of Martin, Robert (Betty) Blanchard of Raleigh, NC, Janice Blanchard of Wayland and Kay (Dave Wanner) of Becida, MN; many nieces and nephews. He was preceded in death by his parents and by a sister, Helen Roberta Blanchard. Cremation has taken place and a Graveside Service with Military Honors at Fort Custer National Cemetery, Augusta, will take place at a later date. Contributions in memory of Jack may be made to St. Jude Children’s Research Hospital. Danny J. ‘Dan’ Burchett of Otsego, Michigan, passed away unexpectedly Tuesday, June 25, 2013 in Kalamazoo. 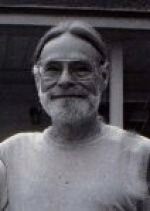 Dan was born March 17, 1945 in Otsego to Loren and Berniece (Boerman) Burchett and was a lifelong resident of the area. From 1963 to 1966 he served his country in the U.S. Army and was a sergeant serving in Santo Domingo. For thirty years he was employed at Menasha Corp. in Otsego, retiring as a millwright. An Eagle Scout, he enjoyed spending time in the out-of-doors with his children. On June 8, 1968 in Otsego he was married to JoAnn Moody, who survives. Also surviving are three children, Christina Lewis of Saugatuck, Mike (fiancée Janelle Quigley) Burchett of Otsego and Justin (Sarah) Burchett of Gaylord; five grandchildren, Cameron, Olin, David, Lexy and Ashley; his mother, Berniece Burchett of Otsego; his mother-in-law, Patricia Moody of Otsego; siblings, Stanley (Charlotte) Burchett of Kalamazoo, Sandra Morey of Plainwell and Barbara (Bob) Fuller of Otsego; several nieces and nephews. Friends may meet with Dan’s family from 4 to 6:30 P.M. Friday, June 28, 2013, at the Winkel Funeral Home, Otsego, where a Prayer Service will be held at 6:30 P.M. with Deacon Dean Hermann officiating. A luncheon will follow at the Otsego Elks Club. Contributions in memory of Dan may be made to the St. Vincent DePaul Society or Michigan Nature Association. 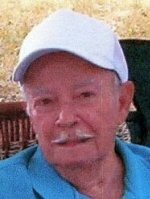 Sotero R. Gonzales of Plainwell passed away Friday, June 21, 2013 at his home. Mr. Gonzales was born December 15, 1931 in La Feria, TX to Andres and Eloisa (Longoria) Ramirez. Sotero had worked for over 30 years at Plainwell Paper Company and in his leisure time enjoyed camping, watching westerns, fishing, gardening, reading the Bible and attending church. On August 26, 1961 at their home in Plainwell he married Maria Delgadillo who survives. Also surviving are his children, Juanita (John) Richards, Luis Gonzales and Gilberto (Shantel Palumbo) Gonzales; 10 grandchildren, Taija, Kalob, Chelsea, Hana, Drew, Carly, Dakota, Sammy, Kelsie and Maggie; 2 brothers and 2 sisters. He was preceded in death by his sons, Victor and Miguel and 5 siblings. Friends may meet with the family from 2-4 and 6-8 P.M. Monday, June 24, 2013, at the Winkel Funeral Home in Otsego where services will be held at 11:00 A.M. Tuesday, June 25, 2013, with Pastor Dave Alderman officiating. Burial will follow at Hillside Cemetery. Contributions in Sotero’s memory may be made to Hospice Care of Southwest Michigan. 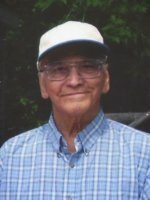 Harry E. Rose passed away Thursday, June 20, 2013 in Otsego. Mr. Rose was born September 16, 1917 in Bloomingdale to Homer and Beatrice (Hilliker) Rose. For many years Harry was employed with Sutherland Paper/Georgia Pacific. In his leisure time he enjoyed hunting, fishing and watching Tiger baseball. He was preceded in death by his wives, Nina Munn in 1972 and Clarine Rose in 1982. Surviving are his children, Gerald (Joan) Rose of Utah, William (Barbara) Rose of Otsego; step sons, Homer (Peggy) Rose of Mattawan and John (Donna) Rose of FL; 29 grandchildren; 18 great grandchildren; his siblings, Ellen (Al) Hunter, Floyd (Jo) Rose and Myron (Winnie) Rose, his 3rd wife, Aline (Laugley) Rose of N.H and many nieces and nephews and good friends Tom & Janet Shoemaker. Also preceding him in death were his parents and his siblings, Bob Rose, John Rose, Ruth Kiggens. Friends may meet with the family from 10 to 11 A.M. Friday, June 28, 2013, at the Winkel Funeral Home in Otsego where services will be held at 11:00 A.M. with William Rose, Celebrant. Private family burial will follow later. 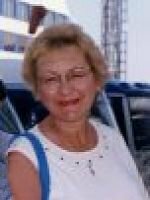 Joyce Ann Shattuck, of Kalamazoo, Michigan, beloved wife, mother and grandmother, passed away Monday, June 17, 2013 in Kalamazoo. Mrs. Shattuck was born August 17, 1939 in Otsego to Robert and Pauline (Bittenbender) Griffith and had been a lifelong resident of the area. For many years she was employed with the Lake St., Kalamazoo and Plainwell Burger Chefs. She had many fond memories of her friends and co-workers there. Joyce had been active in Boy Scouts, Girl Scouts and Little League. In her leisure time she enjoyed bowling, fishing and the Little River Casino. On February 24, 1956 in Otsego she married Raymond Shattuck, who survives. Also surviving are two daughters and two sons, Debra (Chuck) Rheautt of Baltimore, MD, Michael Shattuck of Lansing, Karen Young of Parchment and Raymond P. Shattuck and dear friend Peter Pappas of Bennington, VT; five grandchildren;three great-grandchildren; two sisters, Paula (Tom) Stevenson of Otsego and Pat Carpenter of Spanish Fork, UT; and an uncle, Ebby Griffith of Delton; many nieces and nephews. Cremation has taken place and a Memorial Graveside Service at Fort Custer National Cemetery, Augusta will be held at 2:00 P.M. Tuesday, June 25, 2013. 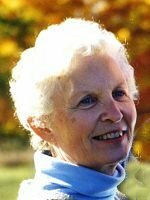 Joyce A. Berner of Kalamazoo (formerly of Otsego) passed away Sunday, June 16, 2013, in Kalamazoo. 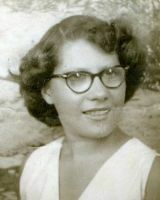 Mrs. Berner was born October 9, 1942 in Plainwell to Wayne and Louise (Mollitor) Livingston. She was a 1960 graduate of Otsego High School and had attended Western Michigan University. Joyce began her career at Kal Equip in Otsego and then stayed home to raise her three children. Later in life she was the proud owner of Looks in Hair Design, a full service salon in Plainwell, for 20 years. Her main and most joyful purpose in life was her family. She loved being a wife, mother and grandmother. Her love of travel took her and Phil all over the world. Joyce loved her kitties and almost always had a Siamese cat. She also was an avid flower gardener with beautiful roses and other perennials. Sons, Sean and Brent, remember baking cookies with her all the time. Chocolate chip was their favorite. In 1976 Joyce nominated her mother-in-law, Catherine Berner, for the Mother of the Year Award through WAOP radio in Otsego. She submitted a letter explaining how wonderful and giving Catherine was to her family and others. She raised 6 children and worked full time as a registered nurse. Catherine won the contest and Joyce went on the radio to read the letter that earned her the award. On July 22, 1962 in Kalamazoo she married Philip Berner. They were longtime residents of Otsego, having lived for 50 years across the street from Leighton’s Mill Pond and currently residing in Royal Estates, Kalamazoo. In 1992, Joyce was reunited with her first son, Todd Albright. This included his wife and two daughters. She was a member of St. Margaret’s Catholic Church in Otsego. In September 2011, 49 years after they first pledged their love to each other, Phil and Joyce renewed their vows at St. Margaret’ s Church. Surviving are her husband, Philip Berner; daughter, Laurie (Berner) and Tim Andrus; sons, Sean Berner, Brent and Merri (Germain) Berner, Todd and Loyale Albright; grandchildren, Cameron and Marissa Andrus, and Lauren Albright; special cousins, Barb and Wayne Davis; and special friends, Mary and Rick Beauchamp, Bob and Sharon Lombardini. Joyce was preceded in death by her parents and granddaughter, Elizabeth Albright. Friends may visit with Joyce’s family from 2 to 4 and 6 to 8 P.M. Tuesday June 18, 2013, at the Winkel Funeral Home, Otsego, where the Rosary will be recited at 5:00 P.M. Mass of Christian Burial will be celebrated at St. Margaret’s Church Wednesday, June 19, 2013, at 11:00 A.M., Rev. Fr. Gordon Greene celebrant. Burial will follow at Mountain Home Cemetery, Otsego. Contributions in memory of Joyce may be made to the Southwest Michigan Alzheimer’s Association, 350 E. Michigan Ave., Ste. #20, Kalamazoo, MI 49007. Joyce’s family would like to thank the staffs at the Alamo Nursing Home and Borgess Medical Center for their compassionate care. 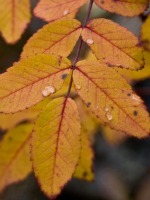 Roslyn ‘Rosie’ (Venema) Cook of Otsego, Michigan, passed away Thursday, June 13, 2013, in Allegan. Rosie was born April 21, 1934, in Otsego, the only child of Henry and Elizabeth (Sisson) Venema. In high school Rosie worked at Colburn’s Drug Store as a soda jerk. This is where she met the love of her life, Hadley. After graduating from Otsego High School in 1952 she attended Ford’s School of Nursing in Detroit. Rosie was an excellent cook and everyone enjoyed sitting at her table. She was a member of the Allegan Congregational Church. In her leisure time she enjoyed knitting, reading and flower gardening. On January 10, 1953, in Otsego she married Hadley Cook, who died in 2002. Also preceding her in death were her parents and her son, Gregory Cook. Surviving are two daughters, Nanette Root of Otsego, Christine Cook of Allegan; daughter-in-law, LouAnn Cook of Otsego; grandson, Austin Root (Carrie Barnhart) of Kalamazoo; granddaughter, Josie (Kristopher) Alderman of Otsego; and a great-granddaughter, Alexandra Alderman. Cremation has taken place and a private family graveside service will be held later. Contributions in memory of Rosie may be made to the Allegan Congregational Kitchen, 323 Cutler St., Allegan, MI 49010 or the Otsego District Public Library, 401 Dix St., Otsego, MI 49078. 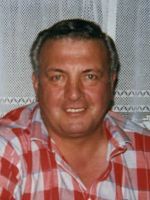 Craig D. Bowers of Otsego, Michigan, passed away Thursday, June 6, 2013, at his home. Craig was born November 10, 1962 in Plainwell to Ward and Vivian (Bray) Bowers and was a lifelong resident of the area. From 1992 until 2001 he was employed with Perrigo Co. as a line leader and had also worked as a car detailer. In his leisure time he enjoyed fishing and following Red Wings Hockey. Surviving are his wife, the former Kimberly Kay Hampton; his mother, Vivian Bowers; two sisters and two brothers, Deb Bowers, Dan (Sue) Bowers, Jeff Bowers and Cindy (Harry) Brainard; two stepsons, Jason (Lisa) Robar and Jeremy (Samantha Hamlett) Robar; three grandchildren, Jayli, Kollin and Aubrey; several nieces and nephews. He was preceded in death by his father, Ward Bowers, and a sister, Judy Esterline. Cremation has taken place and a Memorial Service will be held at 3:00 P.M. Tuesday, June 11, 2013, at the Winkel Funeral Home, Otsego, with Pastor David Youngs officiating. Contributions in memory of Craig may be made to the Christopher & Dana Reeve Foundation, 636 Morris Turnpike, Suite 3A, Short Hills, NJ 07078.